Mark's Tickets is the best place to find tickets for Fleetwood Mac fans. Just check this page for any new events or schedule updates throughout the year. We sell tickets to every Fleetwood Mac concert around the world. We know how passionate Fleetwood Mac fans can be about pop & rock music, so we make sure to have hundreds of tickets for every concert available right up until showtime. 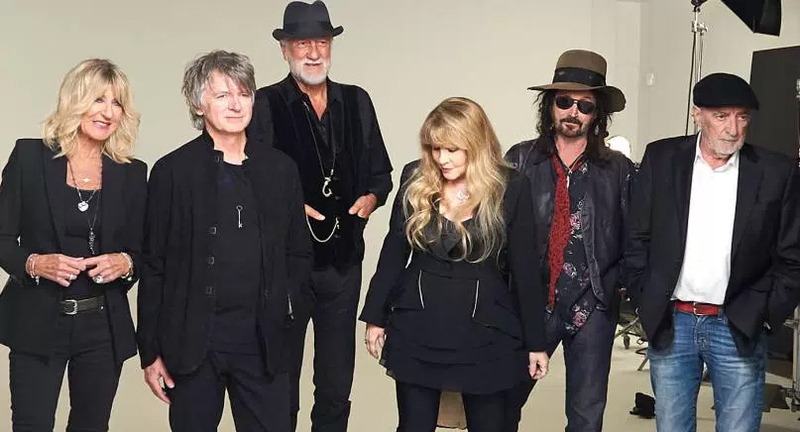 For those looking for cheap Fleetwood Mac tickets, we offer tickets starting at very low prices (many times below face value). We offer tickets in most sections of every venue that Fleetwood Mac performs. Simply choose the city or venue that you are interested in below, and you will be able to see all of the available seats. Do not forget that Marks Tickets also specializes in sold out Fleetwood Mac tickets. No longer will sold out shows prevent you from seeing Fleetwood Mac. Fleetwood Mac are a British-American rock band formed in 1967 in London. Due to numerous line-up changes, the only original member present in the band is its namesake, drummer Mick Fleetwood. Although band founder Peter Green named the group by combining the surnames of two of his former bandmates (Fleetwood, McVie) from John Mayall's Bluesbreakers, bassist John McVie played neither on their first single nor at their first concerts, as he initially decided to stay with Mayall. The keyboardist, Christine McVie, who joined the band in 1970 while married to John McVie, appeared on all but the debut album, either as a member or as a session musician. She also supplied the artwork for the album Kiln House. The two most successful periods for the band were during the late 1960s British blues boom, when they were led by guitarist Peter Green and achieved a UK number one with "Albatross"; and from 1975 to 1987, as a more pop oriented act, featuring Christine McVie, Lindsey Buckingham and Stevie Nicks. Fleetwood Mac's second album after the incorporation of Buckingham and Nicks, 1977's Rumours, produced four U.S. Top 10 singles (including Nicks' song "Dreams"), and remained at No.1 on the American albums chart for 31 weeks, as well as reaching the top spot in various countries around the world. To date the album has sold over 40 million copies worldwide, making it the 4th highest selling album of all time. The band achieved more modest success in the intervening period between 1971 and 1974, with the line-up including Bob Welch, and also during the 1990s in between the departure and return of Nicks and Buckingham. In 1998, select members of Fleetwood Mac were inducted into the Rock and Roll Hall of Fame. The band have sold well over 100 million albums worldwide with a certified 48,500,000 units sold in the U.S.